In our third episode we discuss the popular 2011 film Bridesmaids. Rob loves it, Paddy is less enthusiastic, but we hit some good points. Sensations gets some well-rounded background characters, and we follow up on some responses from listeners to episode 1. 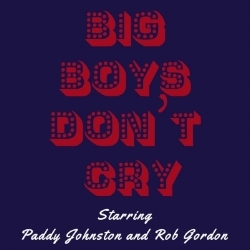 If you want to get in touch, email us at bigboysdontcrypodcast@gmail.com!